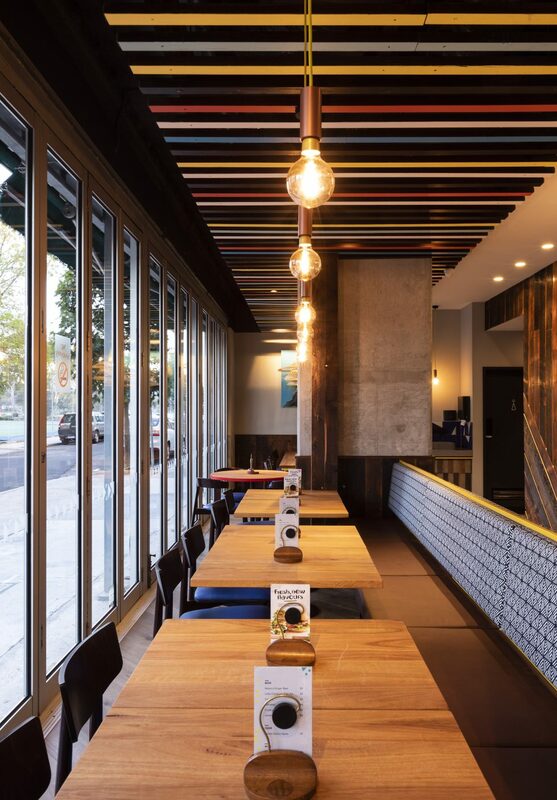 Not your standard grilled chicken shop! Footscray is a thriving and multi-culturally diverse inner-western suburb of Melbourne. 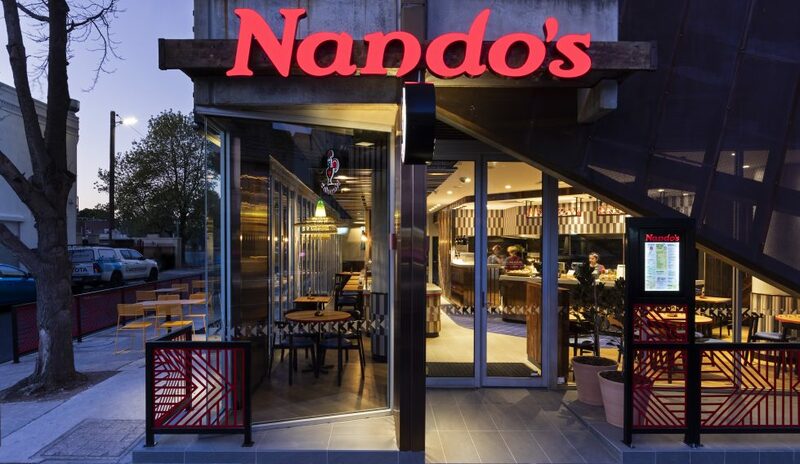 There’s been a wave of Greek, Italian and former Yugoslavian people choosing Foostcray as home, followed more recently by Vietnamese and East Africans, all adding to the vibrant colourful foodie hotspot where our latest Nando’s restaurant is located. 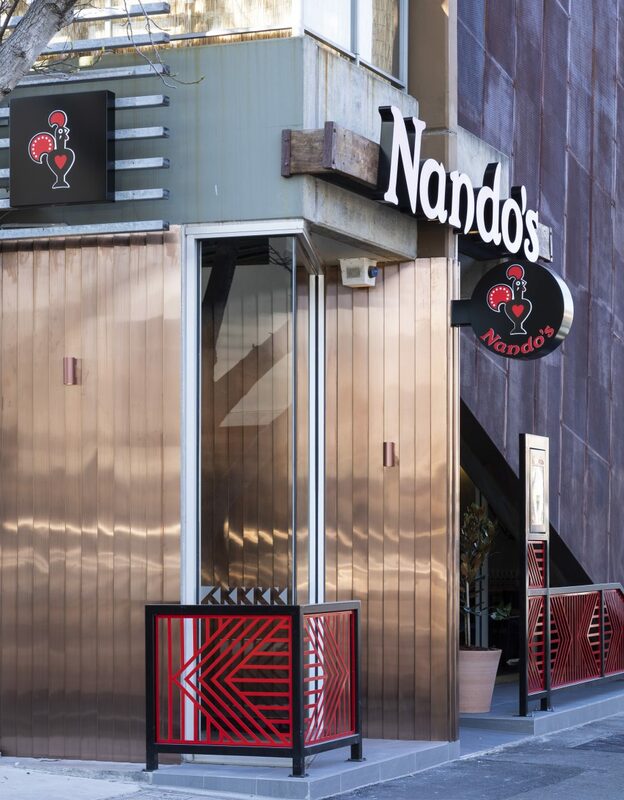 In this prominent high street corner site the luxe copper cladding to the exterior sets the tone for what’s inside. 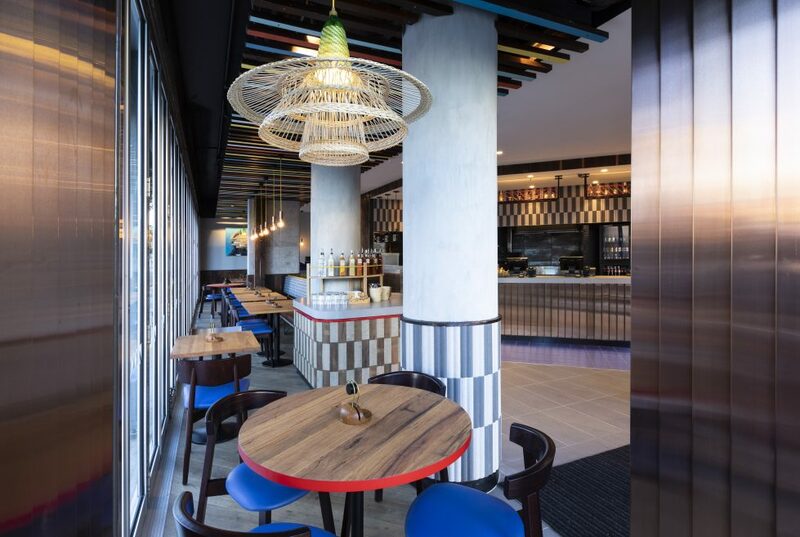 You can choose to dine alfresco to feel part of the Footscray streetscene vibe or opt for a cosier spot at an indoor window or banquette. 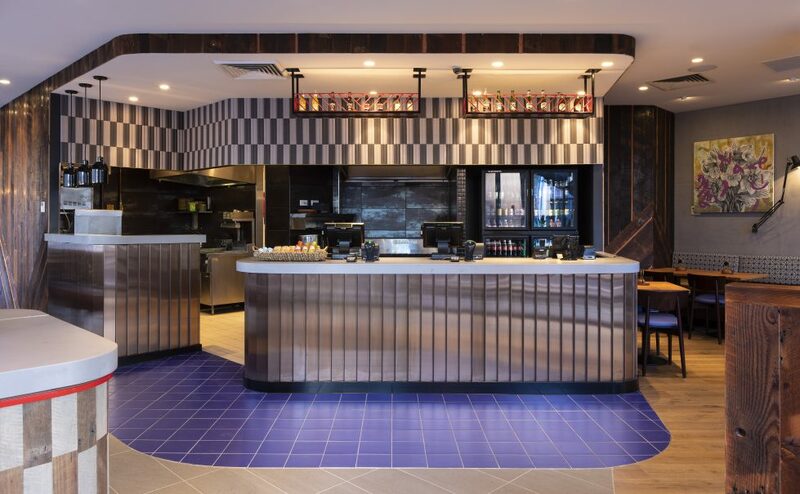 Materiality, texture and colour pops stand out in their unique way to flavour each of our new Nando’s projects. Always a pleasure to design for such an enthusiastic and supportive bunch. Plus we love their chicken, who doesn’t? 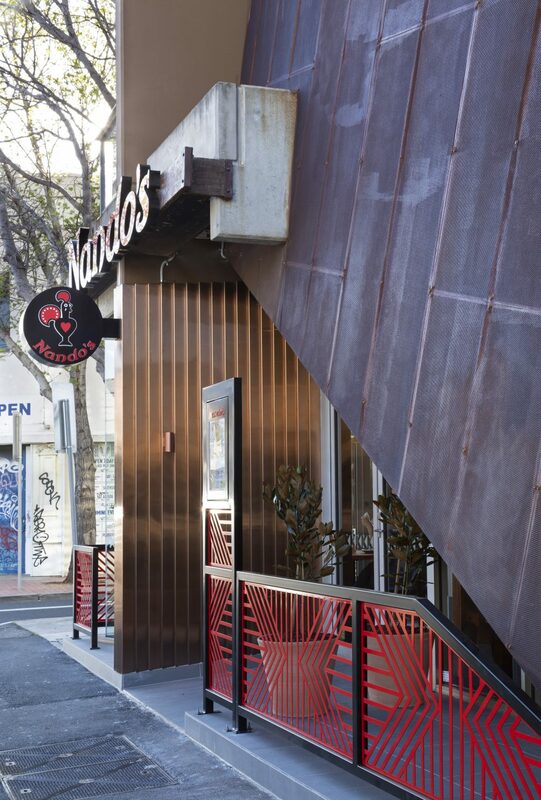 Keep an eye out for our next Nando’s design popping up at Melbourne’s celebrity airport!